The Sinar arTec camera system includes a broad range of the well-proven Sinaron Digital and Sinaron Digital HR lenses, which offer the resolving power required for high-end digital photography combined with minimal distortion and chromatic aberration. 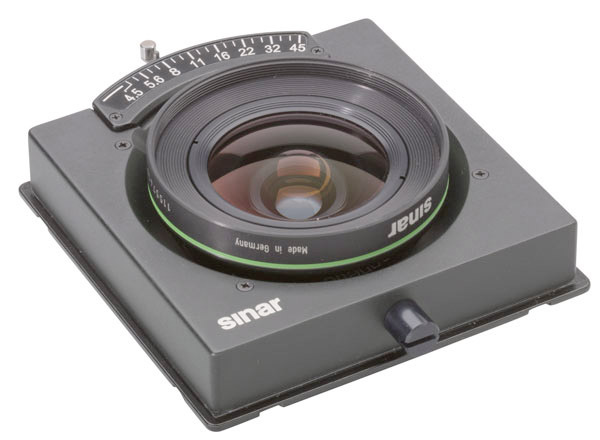 All lenses for the Sinar arTec camera system come complete with a lens board, high-precision focusing mounts, cable release, depth-of-field scale and lens caps. 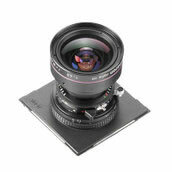 Here's the new range of Sinaron Digital 100 Lenses in Sinar's new eShutter which is due for release in Q2, 2011. The revolutionary Sinar eShutter sets new standards for modern high-end photography! The integrated micro-processor controllers guarantee precise settings and very fast exposure times up to 1/250 sec when working with view cameras such as a Sinar p3. The shutter technology uses 7 blades instead of 5 blades which is absolutely unique and this leads to a nearly circular diaphragm opening. It's built using ultra-modern components and electronics which makes for a very compact and light-weight unit that's suitable for use on numerous camera types. The Sinar eShutter is completely integrated into the modular Sinar System, however, thanks to its open architecture it can also be used with third-party camera systems. restrictions and therefore offers very attractive and fast conversion to the Sinar eShutter system. The Sinar eShutter may be controlled and operated either from a Macintosh or Windows computer via a USB interface. And something entirely new is its integration with wide-spread communication tools such as Apple's iPhone, iPad and iPod Touch making its operation not only intuitive but also superbly reliable, efficient and modern. More information will be added when received or nearer the release date. Prices subject to variation without notice. The Sinaron Digital CMV line of lenses is an extensive array of lenses with integrated electronic shutters that is optimally tailored to the resolution of high-end CCD sensors. With CMV Lenses, the Shutter Speed is controlled via CaptureShop software. The aperture is set manually. You set the aperture wide-open for focusing and then the working aperture when shooting. With Sinaron Digital CAB Lenses, the Shutter Speed is controlled via the Sinar m when used as a shutter and the aperture is set in software with CaptureShop.